Southeast Asia is the very epitome of romance; whether you’re looking for a honeymoon destination or a place to take your partner on a post-retirement romantic trip, you’ll find the perfect spot in Southeast Asia. Every part of Southeast Asia offers a rich tapestry of culture, architecture, incredible beaches or waterfalls or lakes, fabulous food, amazing scenery and lovely people. Whether you’re visiting Thailand, Cambodia, Vietnam, Singapore, India, Thailand, Indonesia or Sri Lanka, you’ll return happily in the knowledge that you had the best possible romantic vacation. We’ve listed some of Southeast Asia’s most magical, most romantic places for the die-hard romantic to visit. 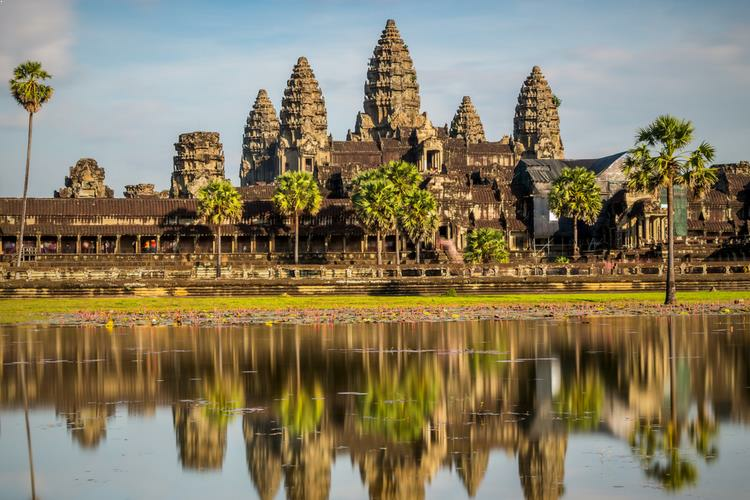 Siem Reap is the gateway to Angkor’s temples. The city which was occupied by the French is still largely French, especially around the Old Market area and Sivutha Street. Pick up some cool bits of jewelry for your honey at Psar Leu's jewelry and woodcraft shop. There are many top restaurants in the city now, so be sure to enjoy a nice candle-lit dinner. Board a tuk-tuk and check out Angkor Wat and the temples around it. Be sure to catch the sunset from Angkor Wat – it’s a must-do over here. Ride a balloon over Angkor Wat, Angkor Thom and the structures that are scattered for hundreds of miles around these two regions for a birds’ eye view of the whole place. Cambodia is one of the most romantic countries in Asia. Tanah Lot has two temples that are perched at the very edge of the sea in Tabanan Regency. 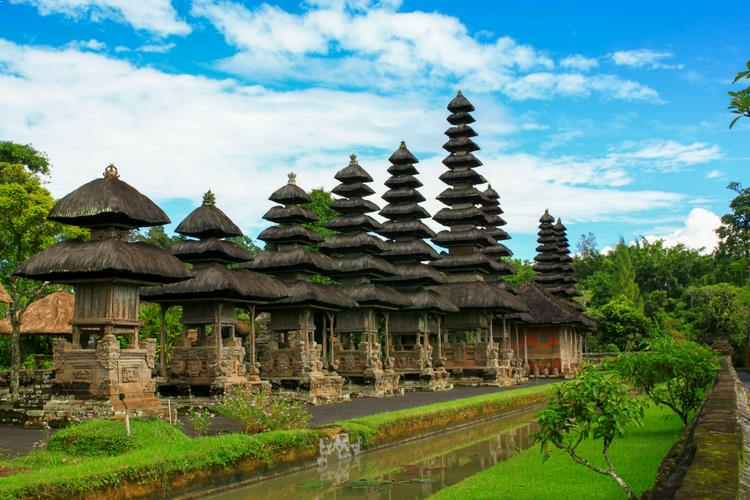 These two temples hold water deities and are very sacred to the Balinese. The rocky island on which they stand offers the most staggering views of the sunset. Don’t miss the Kecak dance held at the close by Surya Mandala Cultural Park, and the many ceremonies performed at Tanah Lot. 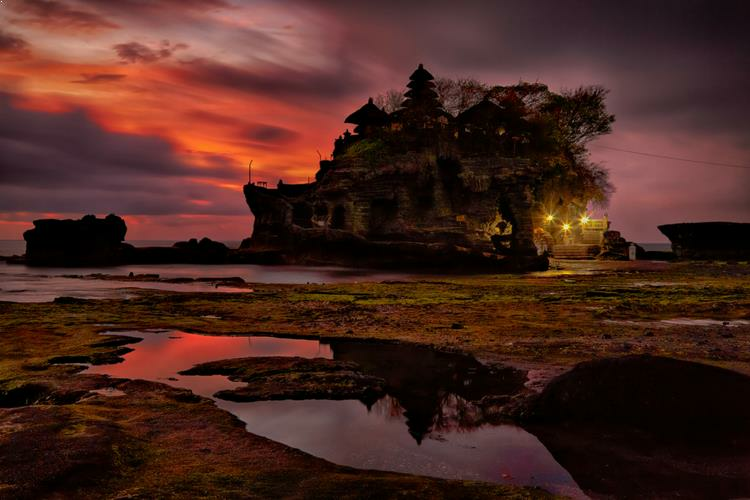 Enjoy the sea and all the pleasures it brings, plus the unique spiritual vibe of Tanah Lot that has kept many families together. Bali, is, without doubt, one of the topmost places to visit in Asia. One of Malaysia’s finest beach islands, the Perhentian Islands comprise of two smaller islands that hold special appeal to romantic couples. Perhentian Kecil is perfect for the partying kind of couple, while Perhentian Besar attracts the sea and beach-loving kind. Even though both islands see their share of tourists, they still retain their original jungle appeal. There are no tall buildings, no motor vehicles and electricity is provided on a need basis only. If you’re looking to head back to an older form of life, this is the place to be. 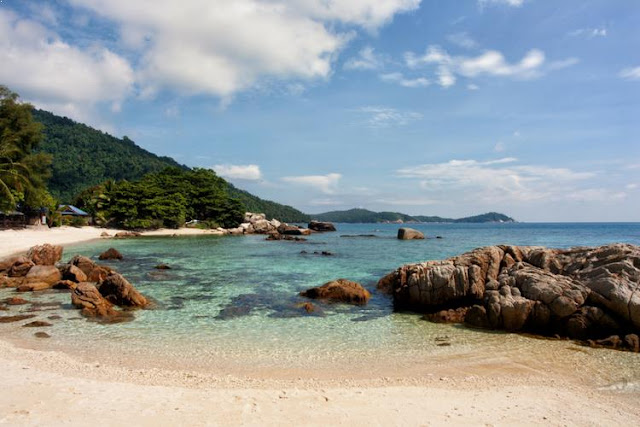 Don’t miss a visit to the Perhentian Islands while on your Asian tour. 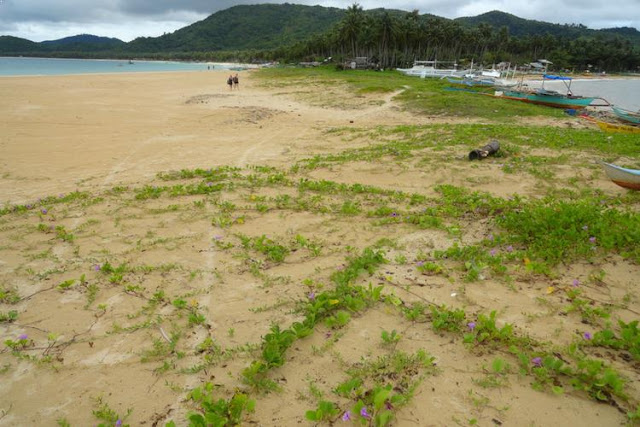 El Nido is a weathered limestone island that is secluded and private. Enjoy the white-sand beaches, cool diving spots and hiking trails with your honey. Kayak among the mangrove forests with her or him, and explore El Nido’s many caves. You’ll find several restaurants here, from cheap ones to 5-Star. Rent a boat for two and explore hidden coves on Bacuit Bay, enjoy an intimate dinner by the fire on a beach and much more. Malaysia is hot and humid but the Cameron Highlands is cool and pleasant, as it is situated many hundreds of feet above sea level. 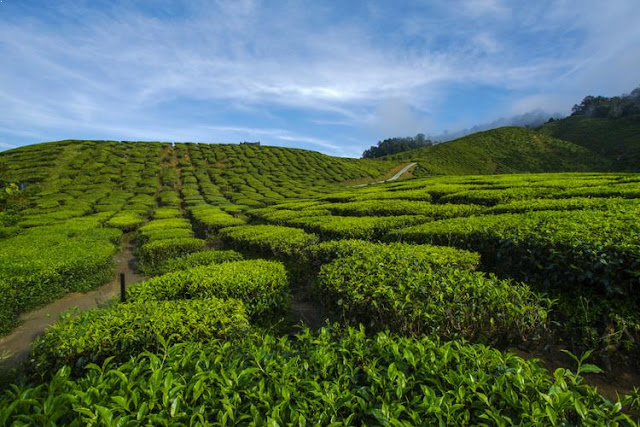 The Cameron Highlands is an at times sleepy hill station filled with tea and coffee plantations. One of the perfect places to spend your Asian holidays, the Cameron Highlands offers the perfect mix of nature, fresh food, beautiful culture, colonial architecture and much more. Grab her hand and hike the many trails and camp out in the middle of a jungle. Everything is fresh and organic – the breezes, the food, the fruit and the grass under your feet. The Highlands has many hotels that offer great packages to romantic couples, so do check them out. 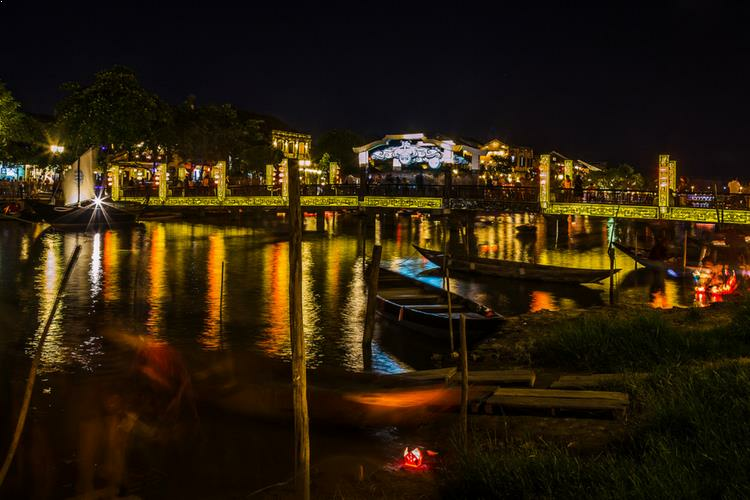 Ancient traditions still hold sway in Hoi An; you can observe the old ways in the old-style lanterns that people carry when darkness sets in. You will feel transported back in time when you see the well-preserved old buildings in the old town. The riverside is blissful, with plenty of boating and swimming to be had. Take your darling to Hoi An to explore the old rice paddy fields, and walk the country paths with one of those pointed Vietnamese hats on your heads, holding hands. Kerala in South India is a true paradise for lovers. What could be more romantic than coconut palms swaying their slender fronds against the bluest skies ever seen? With the blue waters of the Indian Ocean lapping against lovely beaches, and plenty of fishermen with catamarans and canoes ready to take you anywhere, Kerala is just the perfect romantic vacation spot. Explore the backwaters of Alleppey, and visit the wonderful Krishna temple in Guruvayur. Kerala’s palace and temple architecture is legendary and a definite must-visit. Munnar is a hill station, with verdant tea gardens, chilly weather, scented breezes and incredible views. 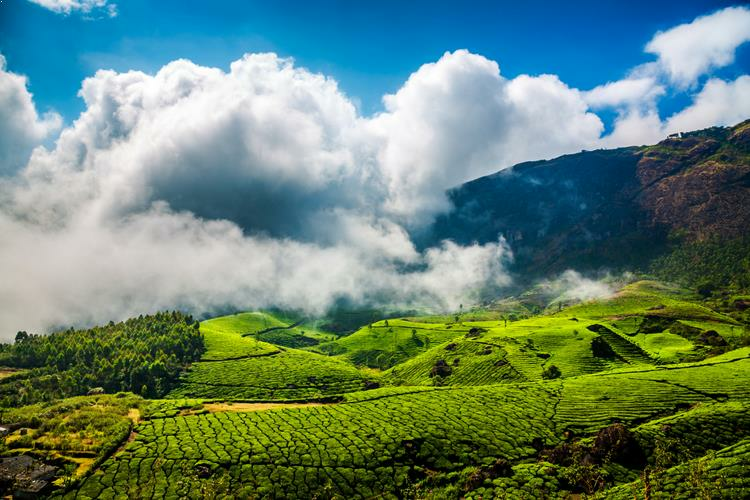 Munnar’s enchanting mountains offer some scintillating views that are a must-enjoy. Take her boating on Kundala Dam and trekking to the Meesappulimala hill. Kerala has all the ingredients you need to make your vacation the most romantic one that you’ve ever experienced. 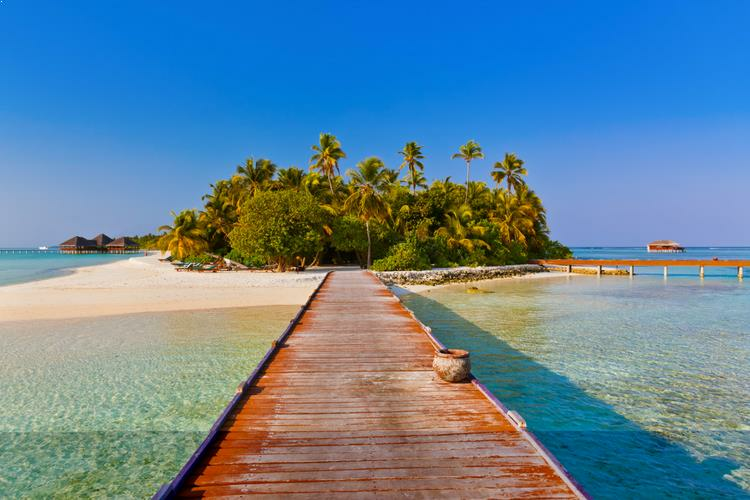 The Maldives is Asia’s smallest country, well known for its private beaches, ocean sports and incredible marine life. Rent a floating bungalow and explore the beaches and the waters to your heart’s content. The city of Male has some great shopping opportunities, so do indulge! When in Maldives, do enjoy some snorkeling and scuba diving and romantic walks on the beach on peaceful full-moon nights when the moon’s glow lights up the whole beach. Bali – just thinking of Bali brings lush green landscapes, blissful blue waters, sugar-kissed sands, volcanic mountains and incredible spas. Bali offers many romantic retreats in its beautiful rainforests, which offer a chance to escape the summer tourist rush. Explore Bali’s lovely temples with your honey, and visit Ubud to check out the local art scene, the many museums and art galleries. Be sure to hike over to explore the famous volcanoes of Bali – the huge Mount Agung, Mount Batur and others. Scuba-dive among the colorful reef at Jimbaran Bay, and enjoy the waters with your love. Best time to visit Bali will be during the months of May and June. Singapore is an exciting blend of modern architecture, natural beauty and incredible infrastructure. One of the most romantic things to do in Singapore during your Asia trip is to ride the cable car from Faber Park all the way to Sentosa. You can rent a private cabin and enjoy a fabulous lunch or dinner while admiring the fabulous view of Singapore below. The Botanical Gardens are a delight to explore and very romantic, with all the roses and the special orchid garden. Marina Bay with its breathtaking view is perfect for a romantic evening. There’s an infinity pool where the two of you can have a cozy swim together as well! 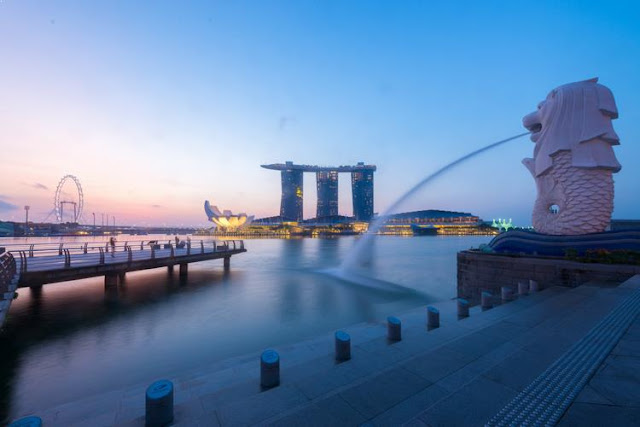 Hurry and apply for your Singapore visa today to enjoy this fabulous destination with your darling. The world is full exciting, romantic destinations; use our list of the best ones to take your loved one on a vacation that he or she will never forget. Rejoice in nature’s bounty wherever you go; the lakes, the oceans, the waterfalls, the lush landscapes. They are what true romance is all about. We’ve listed some of Southeast Asia’s most magical, most romantic places for the die-hard romantic to visit.